In this inspiring, soul-searching, and deeply vulnerable memoir, Kathe Crawford lays bare the life of secrets that she kept for many years. When Crawford and her husband, Larry, discovered that Larry was HIV-positive in 1988, they decided to keep the diagnosis a secret from everyone, including their two children. Crawford kept this promise, layering secret upon secret, for almost 30 years, including for more than 20 years after Larry's death and even as time revealed painful betrayals. 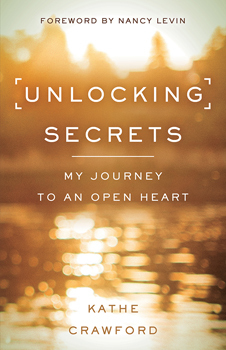 Crawford's journey of unlocking her own secrets, as well as her family's, was the key to freeing her voice, opening her heart, and finding her true self.